Tell a story of the memorable milestones in your life with a personalised photo collage, from Snappy Snaps. Photo collages give the perfect finishing touch to special events like weddings, birthdays and holidays where there are always so many lovely images from the day to display. Photo collages also make the perfect gift and are a great way to commemorate important events like milestone birthdays and anniversaries, as you can have all the best photos throughout the years on one unique piece of art. A photo collage is also a great way to combine your favourite photos onto one canvas print or framed print. Snappy Snaps has a beautiful range of photo collage styles to choose from. Pop in store or browse our online store to find out more about photo collage options available. We are happy to work with you to create a piece of art tailor made for you! 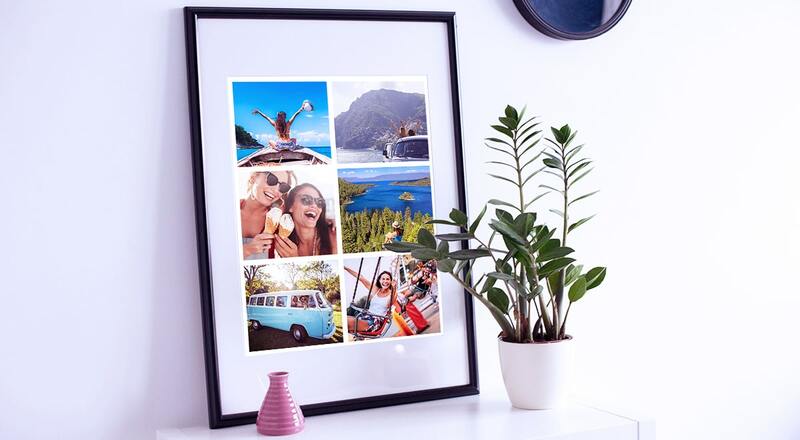 Children grow up so quickly, so what better way to document their adventures through life than with a beautiful photo collage, creating a lasting reminder and a stunning piece of wall art for your home.